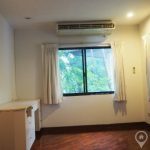 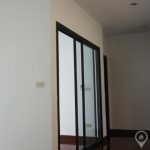 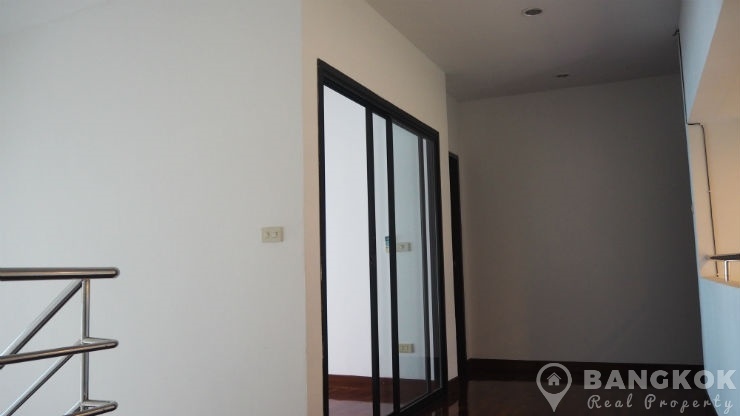 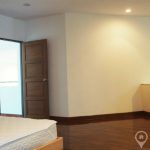 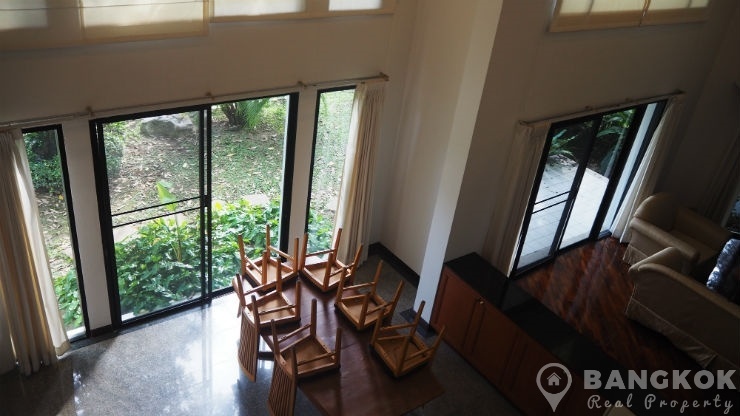 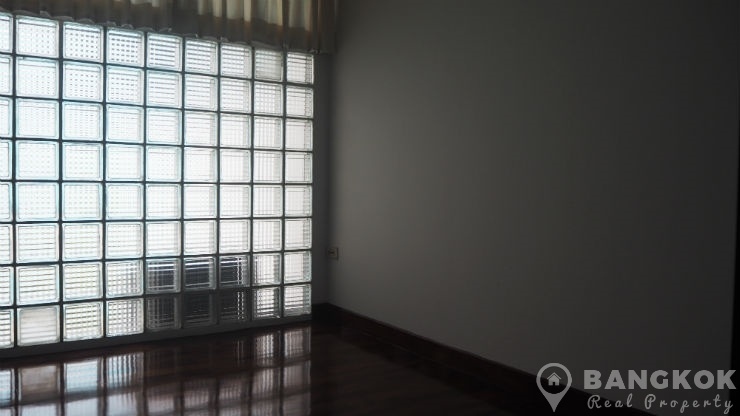 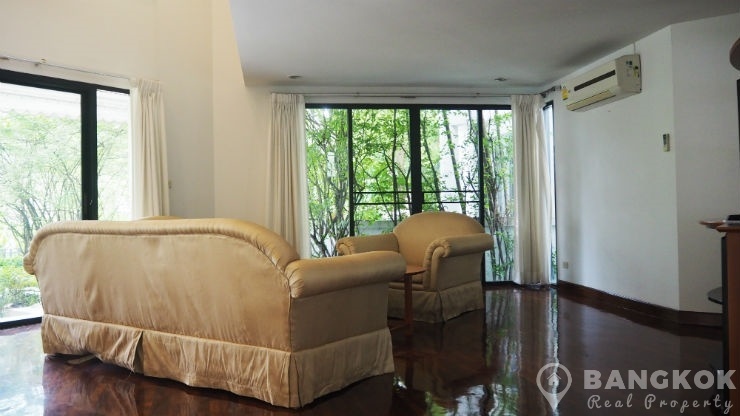 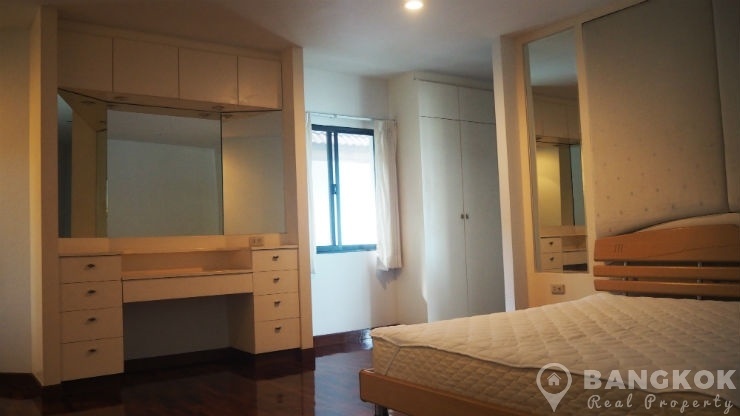 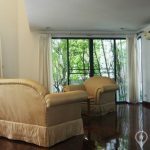 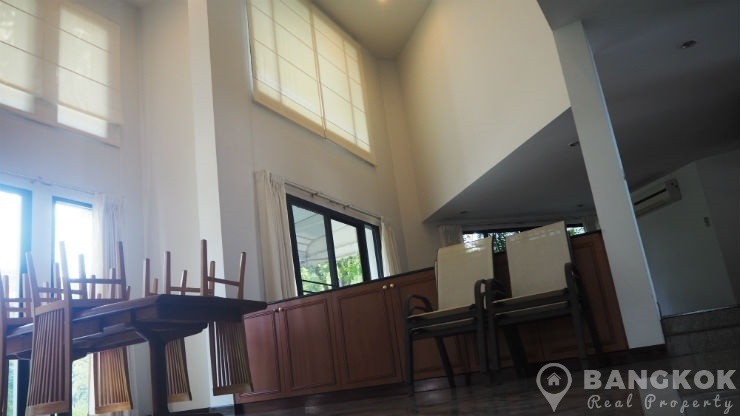 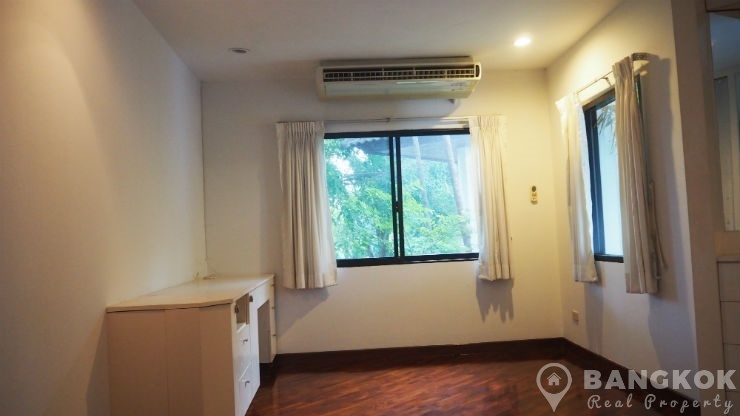 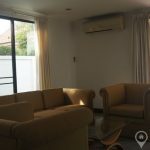 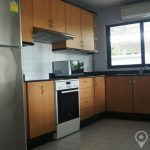 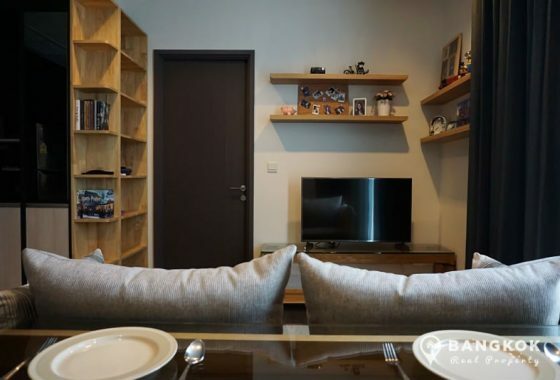 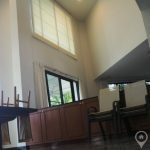 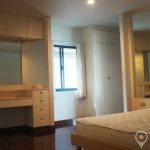 A contemporary, spacious, detached 3 bedroom family house is now available to rent in a small secure compound just off Ramkhamhaeng road called Exclusive 39. 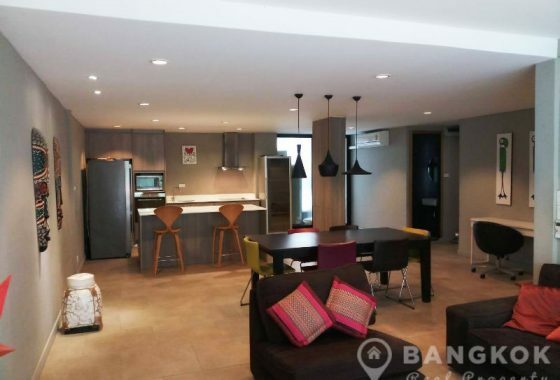 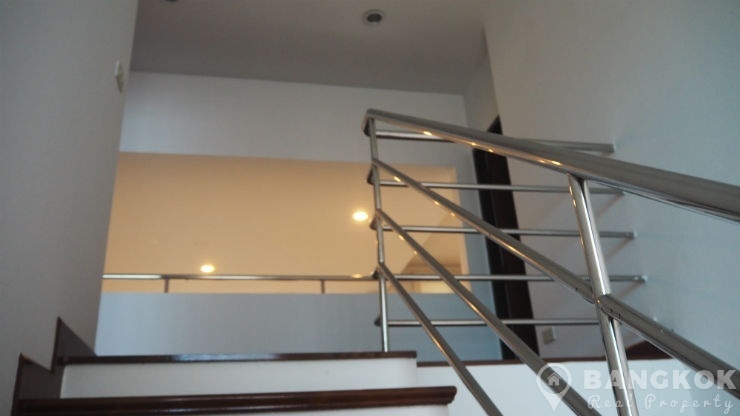 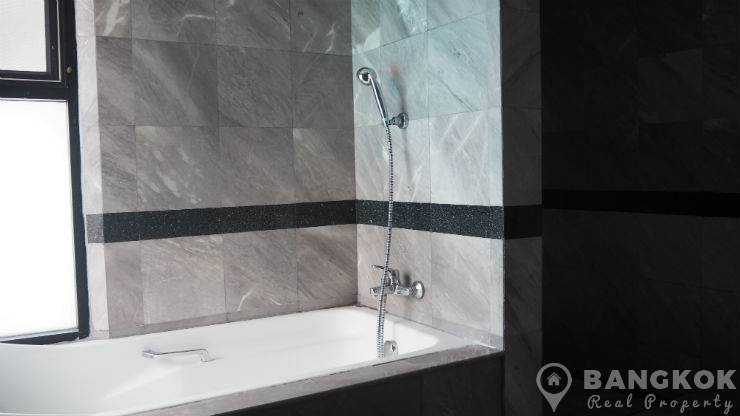 This modern detached house is ideally located within the village offering residents easy access to a host of amenities, restaurants, shops, Golden Place, Pure Place Mall, the new Paseo Town Mall and easy access to great international schools such as Bromsgrove (BIST) and Ruam Rudee (RIS). 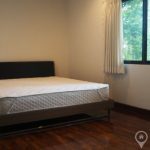 The compound is only a short drive away from Ramkhamhaeng ARL (airport link) station and the outer ring expressway. 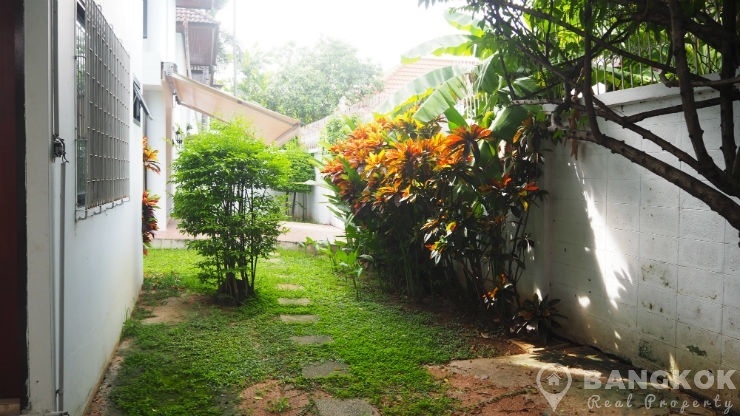 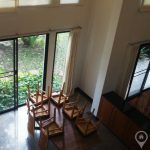 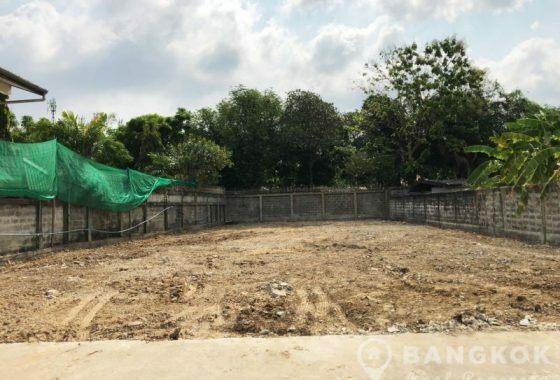 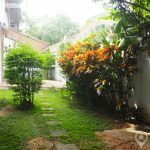 This Exclusive 39 house is ideal for an expat family and has 3 double bedrooms (all ensuite), 4 modern bathrooms, 2 livingroom areas and 400 sq.m of living space with a terrace and garden on a plot of 126 sq.wah. 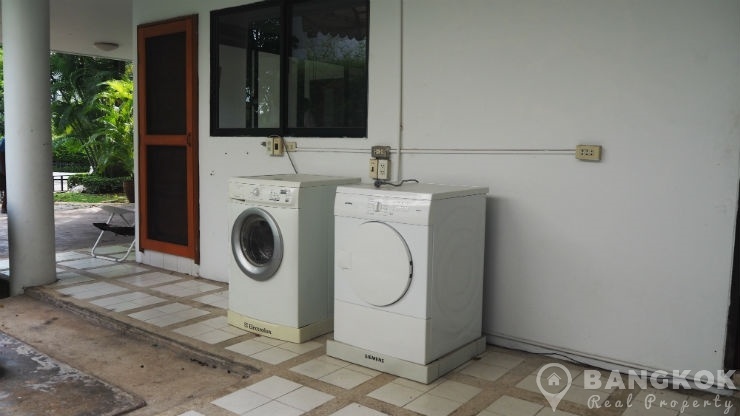 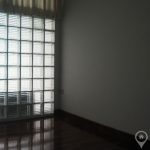 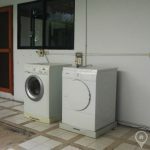 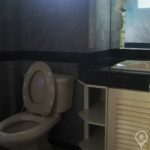 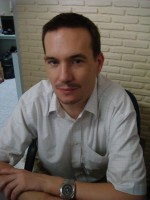 The house is fully furnished and decorated with air conditioners is every room. 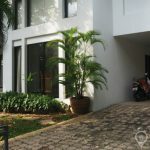 On entrance the dining room is a double height space with marble floors with patio doors to the terrace, opening onto the main livingroom also with terrace access and there is a separate 2nd livingroom at the rear of the house. 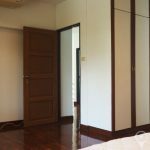 On this level is a shoe room, storage room, guest toilet and separate modern kitchen with breakfast area. 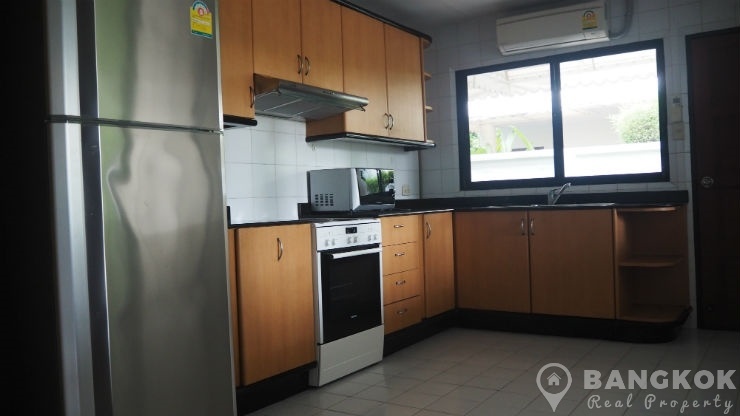 The kitchen has modern units, electric stove and oven, microwave and fridge freezer. 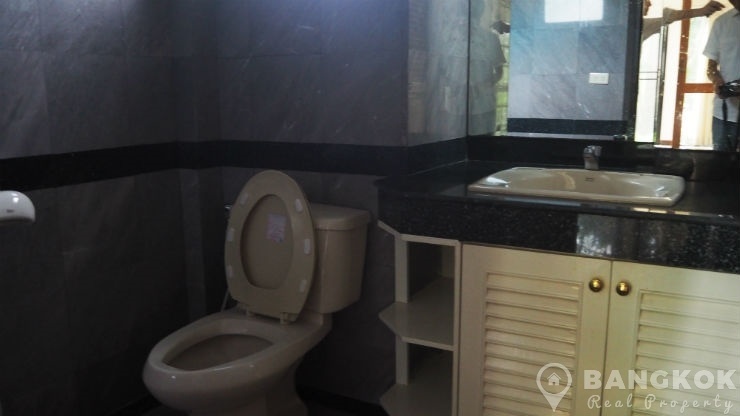 There is a separate maids room and bathroom. 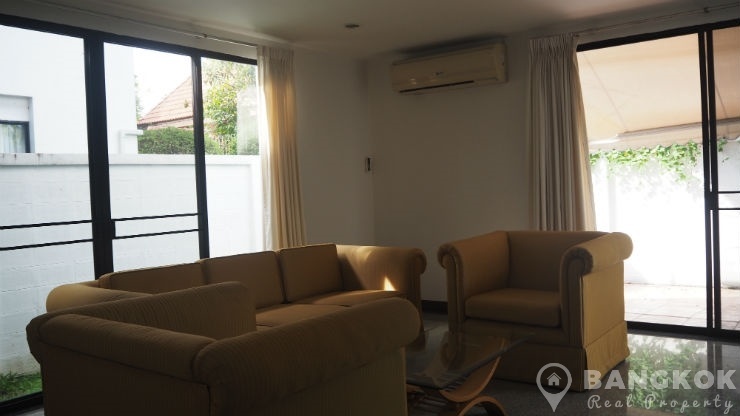 On the upper floors there are hardwood floors and the master bedroom with extensive fitted wardrobes with ensuite bathroom with bathtub and separate shower, a study room / prayer room and 2 double bedrooms with ensuite bathrooms with power showers. 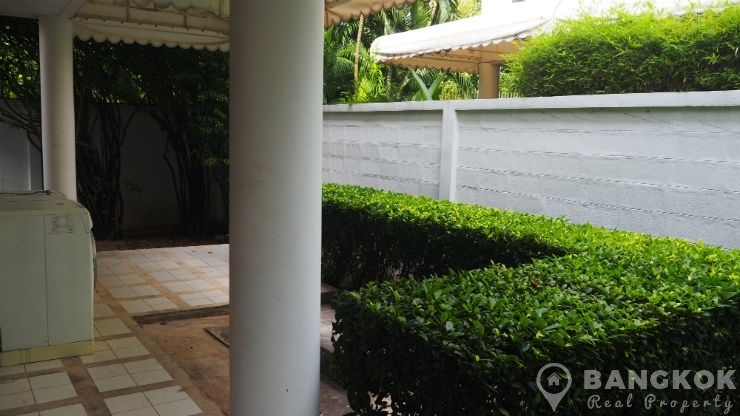 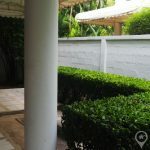 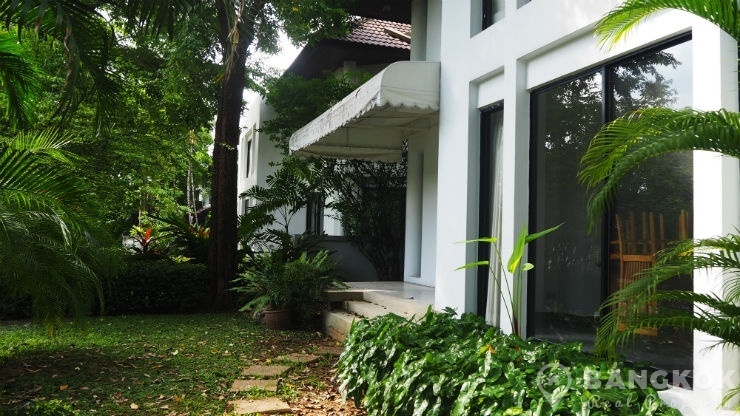 Outside is a mature garden with lawn, shrubs, garden sala and covered terrace area. 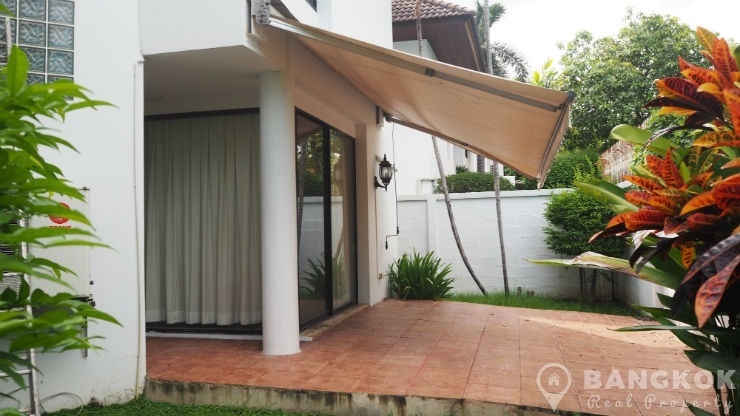 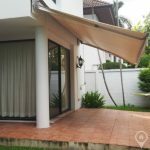 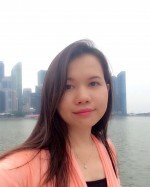 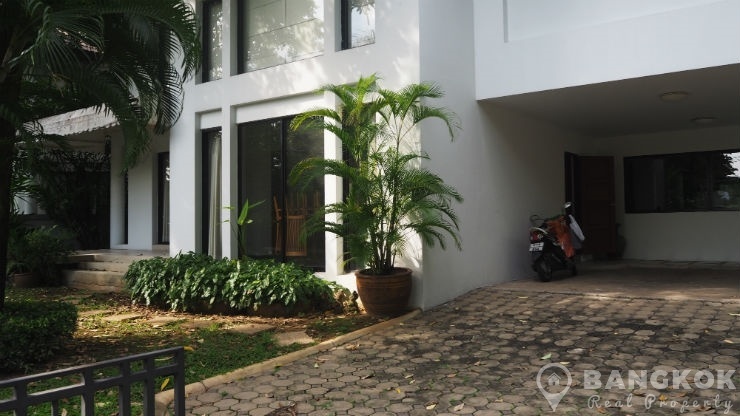 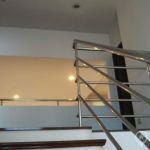 Exclusive 39, is a small secure compound of executive style, modern, detached houses just off Ramkhamhaeng Road adjacent to the Pure Place Mall and Sammakorn Village. 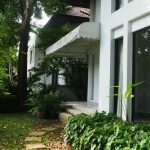 The compound is gated with 24 security and has a club house with large swimming pool, gym and mature, lush, landscaped grounds.